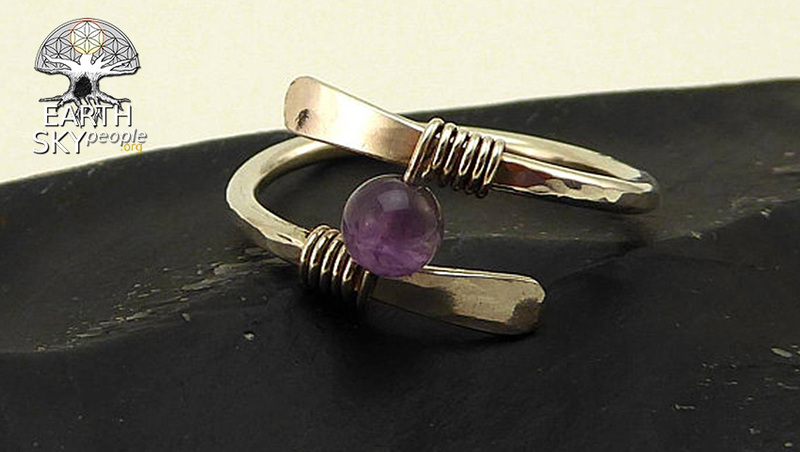 Blue Kyanite wrapped in forged Sterling Silver. 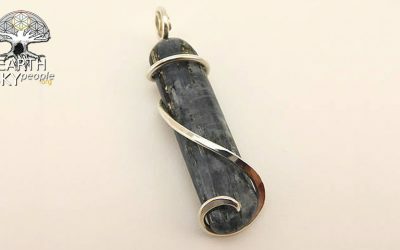 This beautiful tumbled kyanite stone has been wrapped and tension set in cold forged sterling silver and polished to a bright sheen. 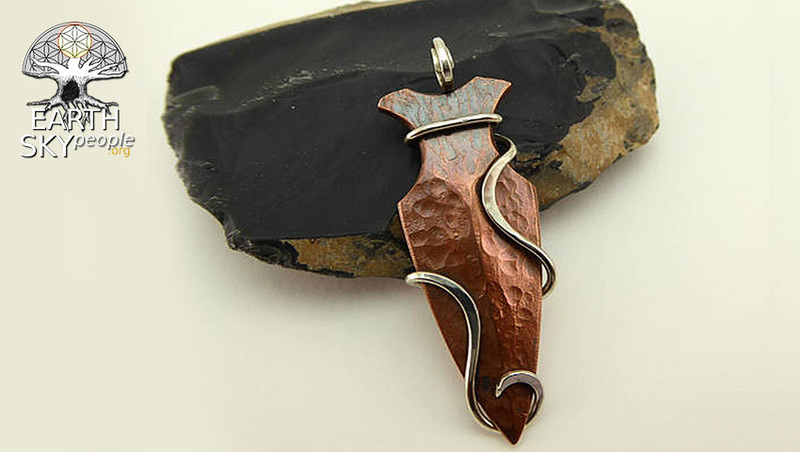 This pendant is lovingly handmade to order with similarly sized and shaped stones. 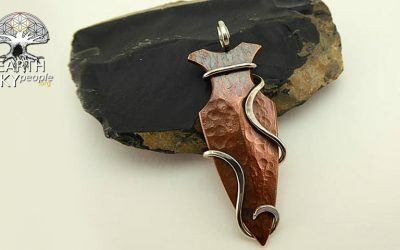 Each pendant is unique and will have inherent variation in both size and shape. Q: What is the Return and Refund Policy? A: Knives may be returned in their original condition within seven (7) days of delivery for a full refund minus shipping and a 5% restocking fee. Customer is responsible for return shipping. 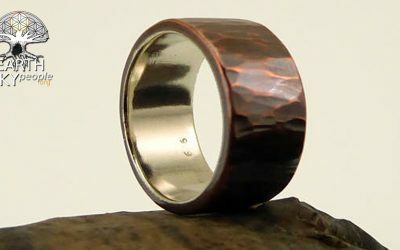 Q: Do NhaVi Forge products have a warranty? A: Tools are guaranteed for as long as NhaVi Forge is still producing them and defective tools will be replaced or fixed free of charge. This warranty is void for tools not used as intended and does not cover wear and tear from normal use. 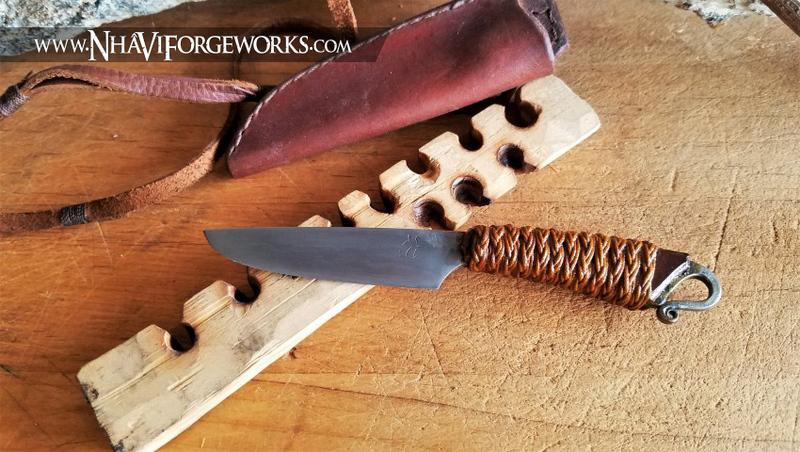 Q: Why do hand made knives cost so much more than factory made? Q: Will you teach me how to make knives? Q: Is NhaVi Forge environmentally friendly? A: NhaVi Forge is a “subsidiary” of EarthSkyPeople.org and running an Earth conscious operation is a priority. 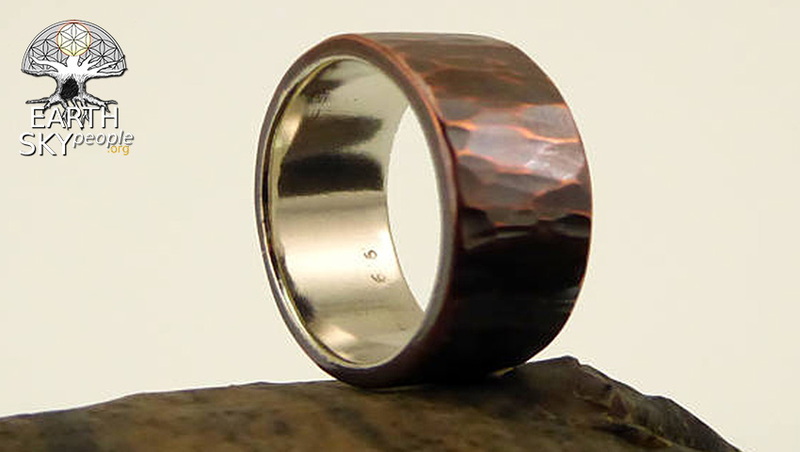 That said, metalsmithing is a relatively resource intensive work and care is taken to minimize waste and maximize a quality for a craft that will last generations. Learn more about our health conscious use of materials. Q: Do you offer Kydex sheaths with your knives. A: No. Although we acknowledge the merits of Kydex for knife sheaths, it and similar materials contain PVC which is quite toxic to humans and the environment. Any plastic that is in contact with your skin, such as with a neck knife, has the potential to transfer BPA, Phthalates, and other potentially carcinogenic and endocrine disrupting compounds. We only use naturally processed leathers and never use chemical dyes or finishes. Our Cuir Bouille leather hardening technique will produce the rigidity necessary for an excellent friction fit that rivals any plastic sheath. Q: Since you do not use plastic and toxic epoxies in your products, will they still be durable? A: Tools made in the traditional way before the development of plastics and epoxies have proved themselves to last for generations when well cared for. Although the organic parts (leather, wood, fiber) of our tools may not be as hard and resistant as plastics, stabilized materials, and epoxy, they are healthy, natural and feel good. Our tools develop character with age and will last more than a lifetime with a little maintenance. 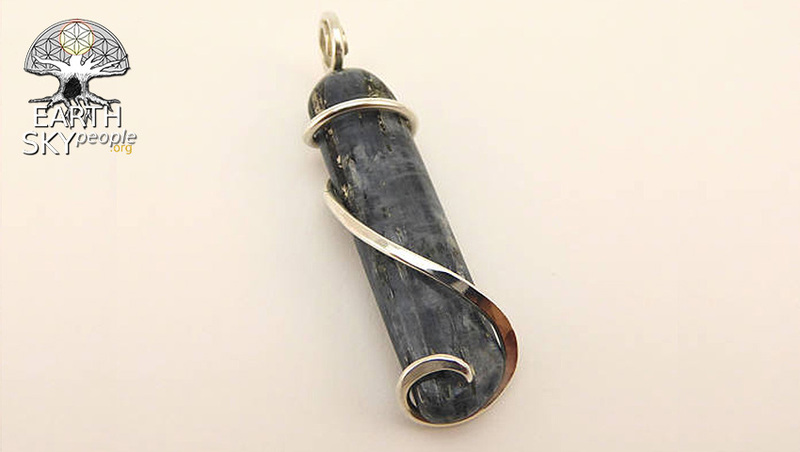 Blue Kyanite Sterling Silver Forged Pendant $45 Blue Kyanite wrapped in forged Sterling Silver. This beautiful tumbled kyanite stone has been wrapped and tension set in cold forged sterling silver and polished to a bright sheen.